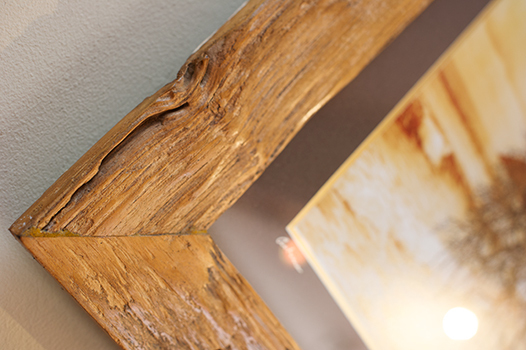 Our frames styles have been carefully selected to compliment our images. 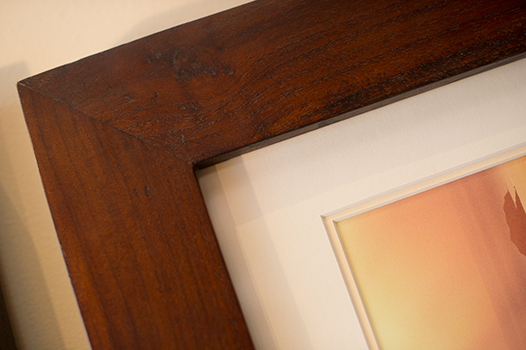 We offer three solid teak frame options that are made specifically for The Allamanda Gallery. These frames are hand made in Indonesia and in most cases salvaged materials are used, therefore each frame is unique and beautiful and has natural variations in texture and colour that are intended. 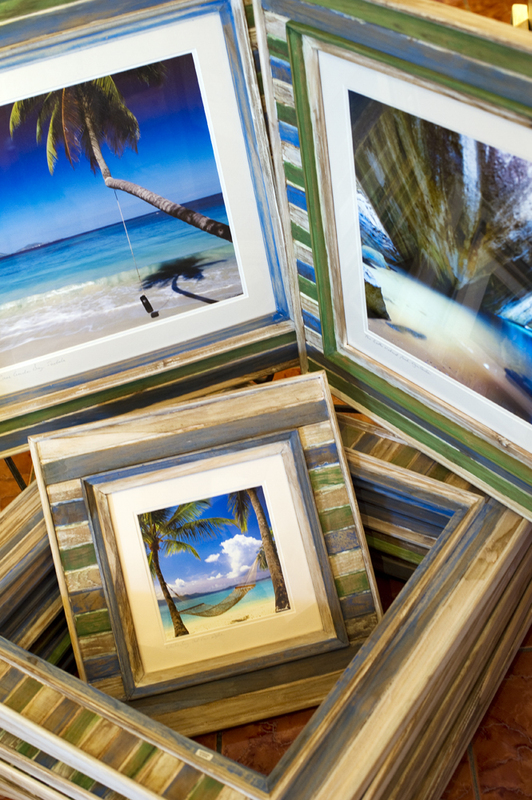 Pictured below, are samples of our teak frames. These frames are designed to last a life time. We also offer more contemporary options of white and espresso 2.5 inch wide flat mouldings. The sizes listed in our Traditional matted and Framed categories are in inches and refer to the outside dimension of the mat. Therefore a framed piece will be larger overall than the size displayed. For exact sizing of specific farme styles please contact us. Photographs ordered in these categories as rolled in tube -no mat or frame- will be one to three inches smaller than the correlating matted artwork size. For information on exact print size please contact us.